We loved having you all as part of our Beginners Yoga Course and we would love even more your help in continuing to improve our offering! The survey below is designed to be quick and painless (we promise!) and to say thanks, you'll receive a code for 30% off any of our 10 class passes (valid across both studios). 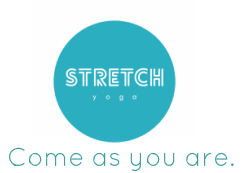 If you have any further feedback or if you would like to talk to us about anything yoga/Stretch related please don't hesitate to grab one of our friendly teachers next time you're in, give us a call on 07 3210 6886 or email info@stretchyoga.com.au. 1 - Poor 2 3 - Average 4 5 - Amazing!